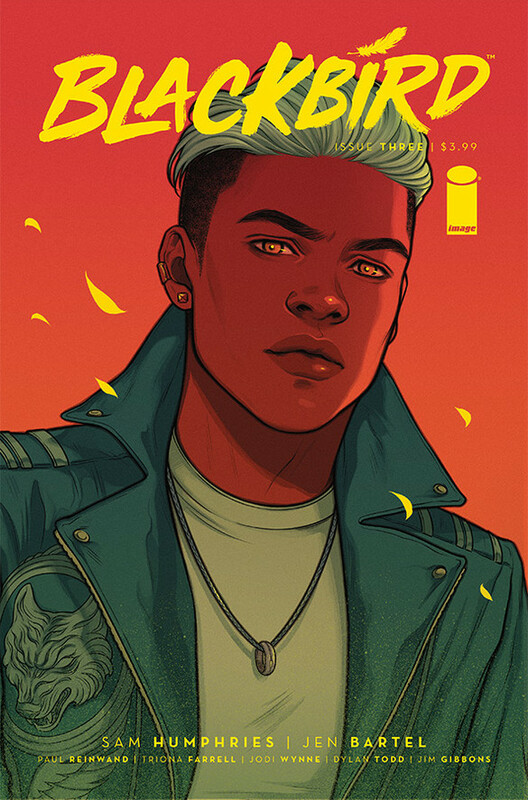 Blackbird #3 Review – AiPT! Blackbird #3 is a great exploration of magic and emotions. Blackbird is a tale of magic, mystery and self-destruction set in a Los Angeles that’s no different to our own. At least, it isn’t until you look a little closer. Blackbird focuses on Nina, a young woman whose life started taking wrong turns after the death of her mother. A life of bad decisions and an obsession with Paragons, a caste of magic users rumored to hide from the mundane world, has led to the kidnapping of the only person she still cares about: her sister Marisa. Issue #3 sees Nina attacked by a Paragon while her would be protector Clint can only watch on. A lot of this issue is about learning, as we learn more about Nina’s life before finding out more about the world of the Paragons. So much of the driving force of Blackbird is Nina and her experiences. The way that we discover more about her past while she discovers another side of herself and the world is really well done. In fact, the whole issue does a great job of naturally revealing more about the world and the characters while keeping things centered on Nina. It helps that while we learn more, there is still plenty of things that are alluded to, including a very powerful cliffhanger. Sam Humphries has done a great job in building a flawed main character that has grown on me. Her resolve to save her sister drives both her and the story. Blackbird is a really compelling concept and it currently maintains a great balance of moving the plot and letting you learn more about the world without feeling like a one-sided information dump. Jen Bartel does a fantastic job here with the art, really capturing the emotions involved. On top of this character work the way the magic is portrayed is really great, including the design of the Paragon’s world, the great beast and the costume of the person who turns up at the end. A lot of credit for the magic effects goes to Triona Farrell. While her work throughout is very good, the magical side comes to life thanks to her colors. Her work on the lighting is another stand out part and she is a great fit with Bartel’s style. In some ways the look of Blackbird reminds me of The Wicked + The Divine, which is a big compliment from me. Blackbird #3 is a great exploration of magic and emotions. If you are looking for a new urban fantasy with a strong main character who doesn’t feel like a stereotype then give this book a try. Blackbird #3 is a great exploration of magic and emotions. If you are looking for a new urban fantasy with a strong main character who doesn't feel like a stereotype then give this book a try.